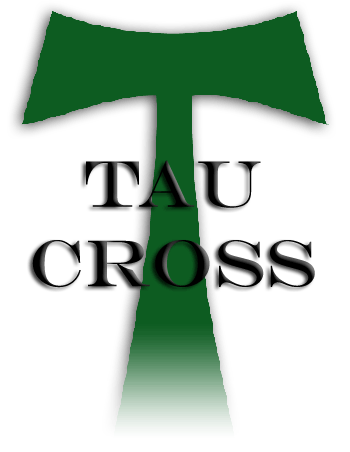 THE TAU CROSS [info] is a Christian Cross shaped like a capital "T". It is believed by many to be the most frequent form of the cross used by Romans for crucifixion. The Tau Cross is particularly identified with Saint Francis of Assisi [info] and the Franciscans Friars [info]. TO CONTACT US: CafePress does not provide shop owners with much information about our customers. If you would like me to know who you are, or if you need to reach me for any reason, please contact me through my web site at jdwarrick.com, or by email at . With the exception of the Tote Bag, all items are printed on the front only. But be sure to note that, on some items, the Tau image is 6", while on others it is 10". Please check to make sure your item is printed the way you would like.